This time a very relaxed tour with more than 70 people at sommerlike temperatures. I could not participate for the whole round since my companion was not the youngest one and needed a well-deserved break after 20 km and several ascents via Leonhardsberg, Rosenaustraße and Schmiedberg. Anyway she wants to participate next time again in any case :-). I also recorded the tour until our break again – this time we really got around a lot, see the GPX Viewer. 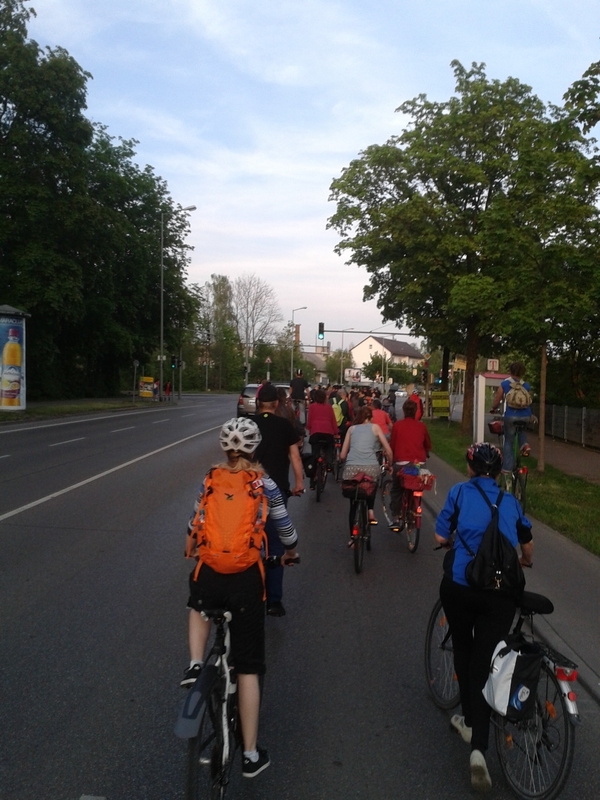 It was a great fun again and you really notice that with so many people the “critical mass” is reached. Car drivers did not try to pressure or take over the group any longer (even when they sometimes protested quite loud) :-). In this spirit – take part and experience it on your own! Everybody is welcome!